All there cars look the same any, but there nice looking. These dudes have ran out of cars to make. 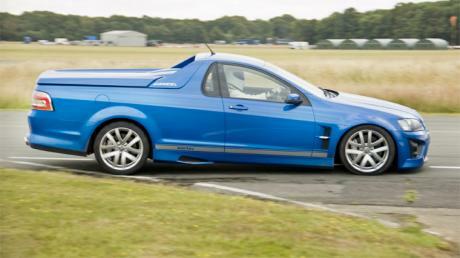 top gear review of the vxr8 includes some specs for the maloo. 0-60 under 5 seconds, top speed limited to 155mph. btw this car ran a 168mph, i found it on wiki. Agreed with BumRush. And to the anonymous posters talking about the jeep: Remove yourselves from the gene pool, you dolts. Why do you guys always compare Tuned cars to Stock one? Hennessey R/t is 2.9 0-60!!! Plus it keeps climbing from there!! Although handleing is probably its big negative. Sorry but im gonna have to agree wit dat udda anoonymous, the Jeep SRT would own this in a straightline, im not sure about around a track though, i still find it hard to believe this is as fast as a DB9 around the Top Gear Track, are we absolutley sure it was stock? It never would. Maybe on launch but after 50 km/h the heavy and boxy Jeep would fall behind quickly. I do not think it looks like a truck, plus the Jeep R/t would beat this anyway, especially the Hennessey version. World's fastest truck! 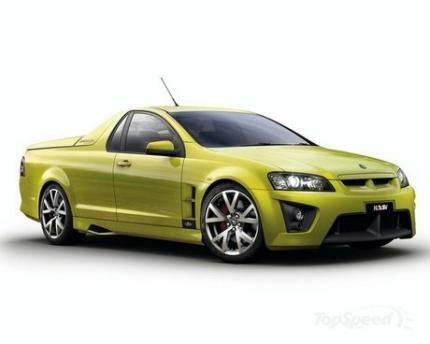 http://www.worldcarfans.com/2060710.004/holden-hsv-maloo-r8-is-world-fastest-ute That's equivalant to 169 mph!